At the beginning of 2014, the members of my Sunday school class were challenged to pick one word as their focus for the year. I never could settle on a word, although I pondered it many times throughout the year. Over and over, one word, or theme, kept coming up: balance. I’ve always struggled with balancing work/family/extracurricular activities. I think it is something that moms just do in our society. This past year, though, I found myself yearning for a change. I realized during marathon training that SOMETHING had to give, and the only way to describe it is that visceral feeling that I get when something HAS to be done. (Well, usually that visceral feeling is the one that gets me injured, but it’s a feeling that is hard for me to shake.) My schedule was incredibly over-booked yet some how I managed to get most of my scheduled runs in AND wash clothes. Having clean clothes was the real victory. One thing (among many) that suffered was my strength training, and boy, did I suffer because of it. I am quite certain that I would have run Dallas healthy and happy, had I kept up proper strength and cross training. I think one reason that my brain has been hesitant to settle on this word is because committing to it means I have to make some hard decisions and then execute those decisions. This will push me outside my comfort zone, but we all need to live outside our comfort zones, right? Still, this will be one of the biggest challenges of this exercise. Yesterday was a special day in the life of our church, and for my family! My son, Logan, was ordained and installed as the youth elder on session for the upcoming year. (The session is the governing body for our local church.) 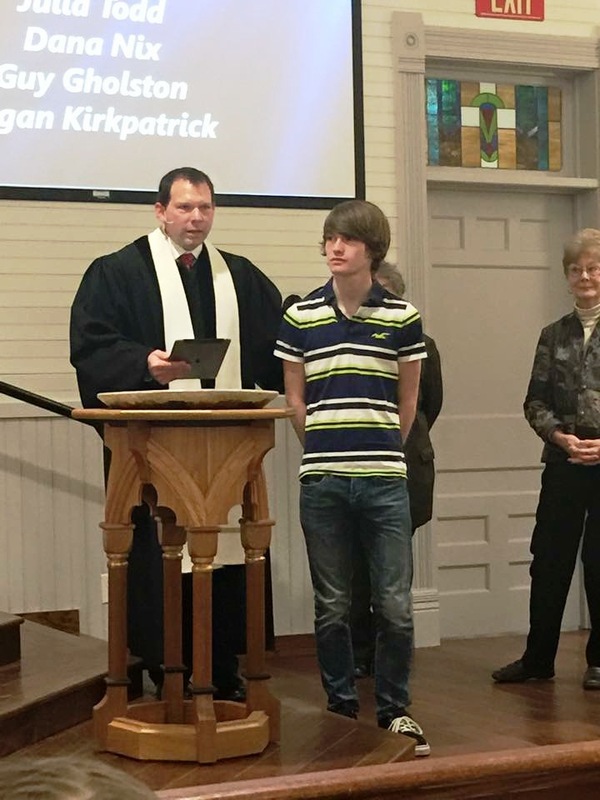 From this point on, Logan will always be a fully ordained elder in the Presbyterian Church, USA. It is indeed an honor, and I hope he understands just how much so. The most special part of the morning was the actual ordination, when all ordained elders, deacons and clergy were invited to come lay hands on the person being ordained. Since I am also an elder in PCUSA, I was standing right next to Logan with my hand on his shoulder. What an honor to be able to share that moment with him! Logan with Pastor Brad, just before the ordination ceremony. It was another fun weekend as far as sports were concerned! Bonham High School soccer tied 2 games and lost 1 in their season-opening tournament, a HUGE improvement over last year. Last year at this same tournament, we got our rear ends handed to us over and over, and we were not able to maintain possession of the ball. This year, however, we were able to maintain possession of the ball roughly half the time, if not more, and we out-shot our opponents in the games we tied. Eventually the ball WILL find the back of the net! 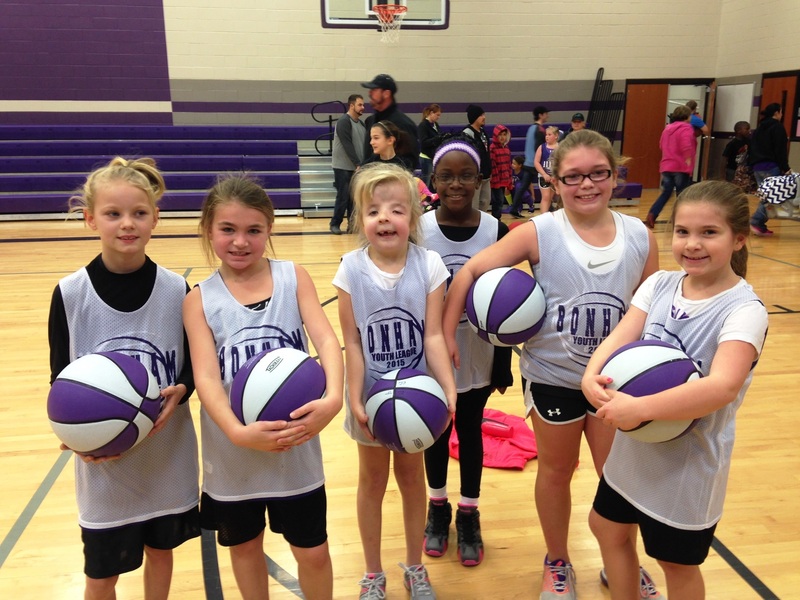 Our sweet young ladies after their thrilling 1-point win! BIG congrats to my daughter, Taylor, as her team finished VERY well in this weekend’s ranking tournament. There are 3 BIG tournaments in our region and this was the first, which is used for the initial team rankings that will be released later this week. Her finish should put her team in the top 30, which is PHENOMENAL!! I know she was proud of the effort from her girls. 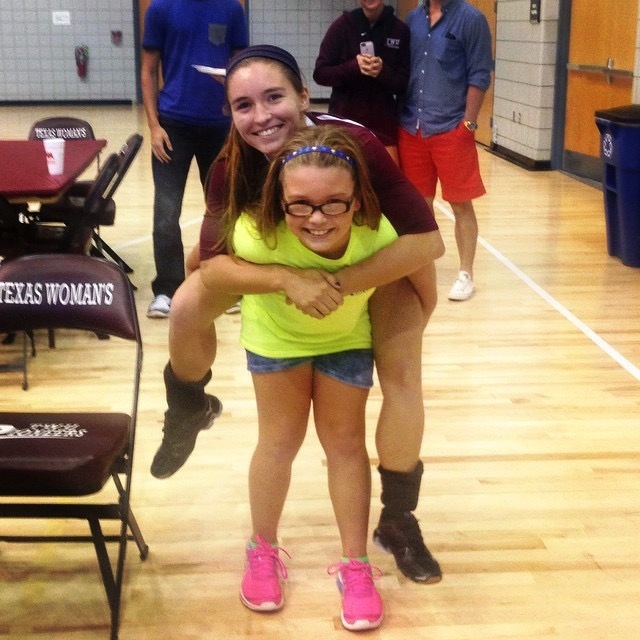 Taylor is a great volleyball player, but I think her true calling is as a coach! She is disciplined but fun and could motivate a fence post to greatness, if she wanted! I’ll leave you with an update on my personal quest to get back out on the roads. For more reasons that you care to read, I decided to move ahead to the next phase of rehab and started Sunday. In this phase, I add weights to the strength exercises (3x/week), bike for 60 min every other day and walk for 30 min on the days I don’t bike. So yesterday morning I did my strength exercises and hopped on the bike trainer for an hour in the afternoon. I’m NOT complaining, but riding for an hour and going nowhere is difficult mentally. I looked at my watch, literally, almost every 2 minutes. Today, I have a little tightness in my ITB, but I halfway expected this, since this is the longest sustained exercise I have done since running the marathon on December 14. Even so, I don’t have any discomfort and the tightness isn’t severe, by any standards. I am so encouraged by the way my body has responded this last week and am allowing myself to be cautiously excited about my return to running in two weeks!! It’s Monday….all day! Make the best of it and drink coffee when needed! Earthquake aftermath and Texas is FROZEN! Not sure if I mentioned that one of my Christmas gifts was a KitchenAid mixer, but one of my Christmas gifts was a KitchenAid mixer!! We have already put it to good use MANY times! Our assistant coach’s birthday is Saturday and OF COURSE I volunteered to make cupcakes!! We made my vanilla cake recipe, scooped out 12 cupcakes then added cinnamon to the remaining batter to make Snickerdoodle. 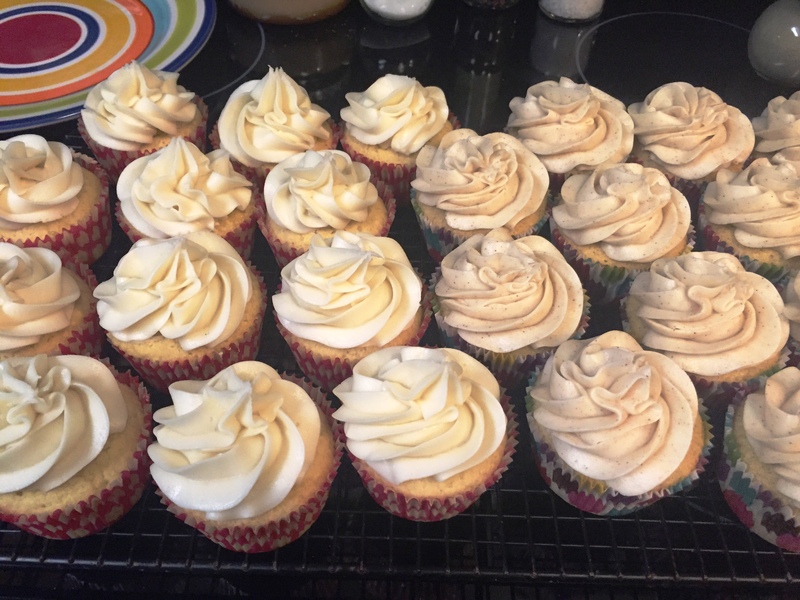 We frosted the vanilla cupcakes with vanilla butter cream and the Snickerdoodle with a snickerdoodle cream cheese frosting, of course! This was our very first time using a frosting bag, and we LOVED it! Alli knew all the ins and outs of using one, as I learned last night, because she watches baking videos on YouTube quite often! I KNOW that complaining about 12 degree temps may just earn me a lynching from my Northern friends, but I DO live in Texas and it is freaking COLD!!! In addition, my little area had the LOWEST temp in the region this morning! 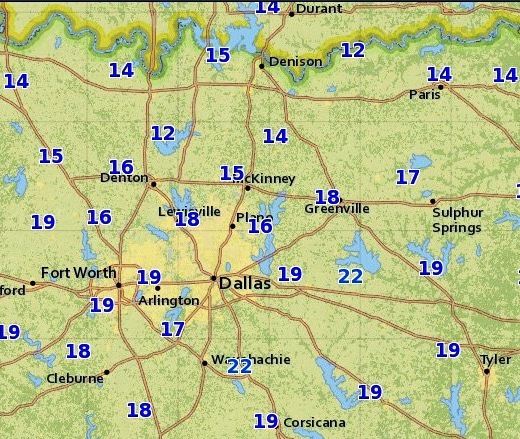 That’s me – 12 degrees at the top of the map, right on the Red River and Oklahoma border. I’m sure these low temps are ALL Oklahoma’s fault! Since it dropped below 20, I felt I should wear my coat. Granted, it probably doesn’t even qualify as a jacket for people living in Canada, but it is a tad warmer than no jacket at all, which is my usual attire. I figured Alli better bundle up as well and told her to go grab her purple Under Armour coat. <look of confusion> Alli: “You mean the coat I got from Justice?” Me, “No, your UNDER ARMOUR coat. The purple one.” <still giving me look of confusion> Alli, “It’s in the bathroom and Logan is in there.” Me, “No, that is a hoodie. Hoodies are NOT coats. I’m talking about the PURPLE UNDER ARMOUR coat that we bought last year at the Under Armour store. Remember? The one we got on sale and you never wore, even to play in when it snowed? ?” Alli, “OH YEAH!!! !” She wore it in the car. Took it off before going into school. <face palm> We would all literally freeze to death if we lived where it was genuinely cold all winter. 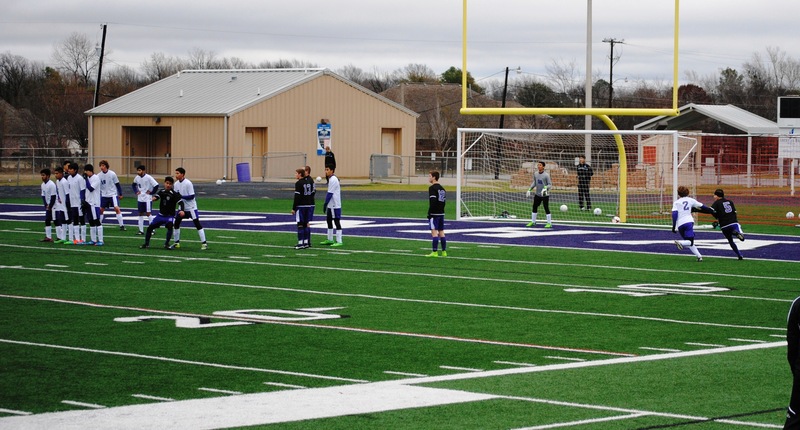 Today marks the start of official games for Bonham High School 2015 soccer. The boys are playing in a tournament and have games at 11:30 and 6:30 today and 3:00 tomorrow. Saturday games depend on how they do in these 3 pool play games. Yes, I will be going tonight. I’m oddly excited, because I will be armed with my 6 blankets, mittens and hand warmers for my fingers and toes! I’ll let you know how it goes! Yesterday was also workout day. I was allowed to ride my bike for 30 min and do strength exercises. Everything was easier than Monday and I have NO issues to report! I am beginning to get VERY excited about being able to run again soon! I’m still planning to wait until the end of January, but am playing it by ear. Just being able to do SOMETHING on the bike trainer has helped my mental state! It’s Thursday, y’all, which means it’s almost Friday! OK…earthquakes ARE serious, but I snickered at this! By the way, I feel much more prepared in the event of a tornado. I can spot a wall cloud easily, tell if it is rotating and know when to run for cover. Earthquakes?? All I know is that you’re supposed to stand in a doorway, but am unsure of that because didn’t that change?? 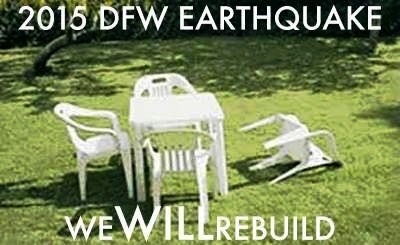 A couple years ago, we had a handful of earthquakes in my town. I felt NONE of them, although I’m not sure they were strong enough to register at all. I was even awake and on the couch because I was unable to sleep during one when I read about it on Facebook. Another miss. I’m not sensitive to spirits either. Just call me insensitive. Logan is playing in a soccer tournament Thursday-Saturday. Naturally, snow and sleet is predicted along with the coldest temps of the season. This time, I will be prepared!! My latest purchase was waiting for me when I got home yesterday. 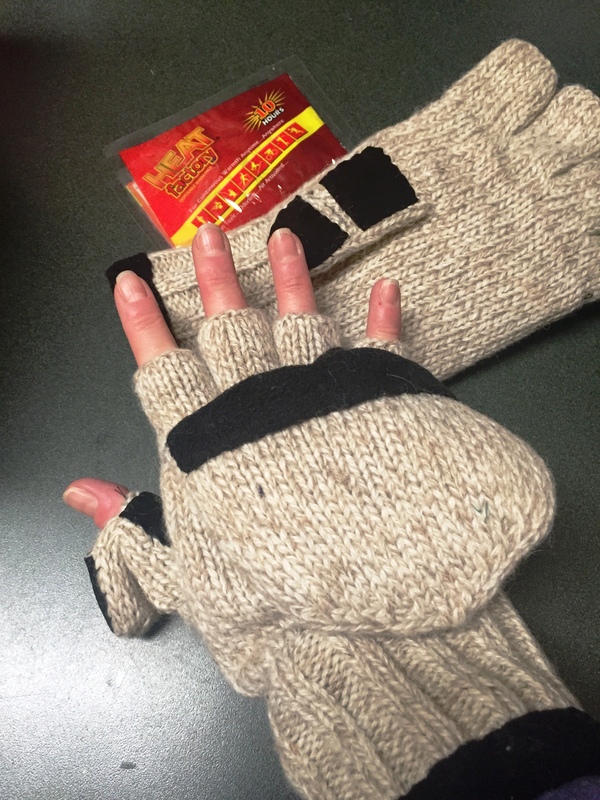 These new mittens, along with hand warmers (for my fingers and toes) and the SIX blankets I have stowed in my car should keep me from freezing to death. There is even a pocket for the hand warmer to keep my fingers toasty! Yes, these mittens feel HUGE….they ARE huge!! It will take some getting used to because I rarely wear gloves (I am 99.9% sure I have NEVER owned a pair of mittens). In fact, I couldn’t even tell you where to find a pair of gloves in my house. I don’t wear coats until it is too cold to venture out without them (read: below freezing and/or wind over 20 mph), so gloves aren’t even a thought in my mind. I never wear gloves when running because after a mile, my hands get sweaty and I feel like I need to strip completely. It’s better for all involved for me to deal with cold fingers for 10 minutes. 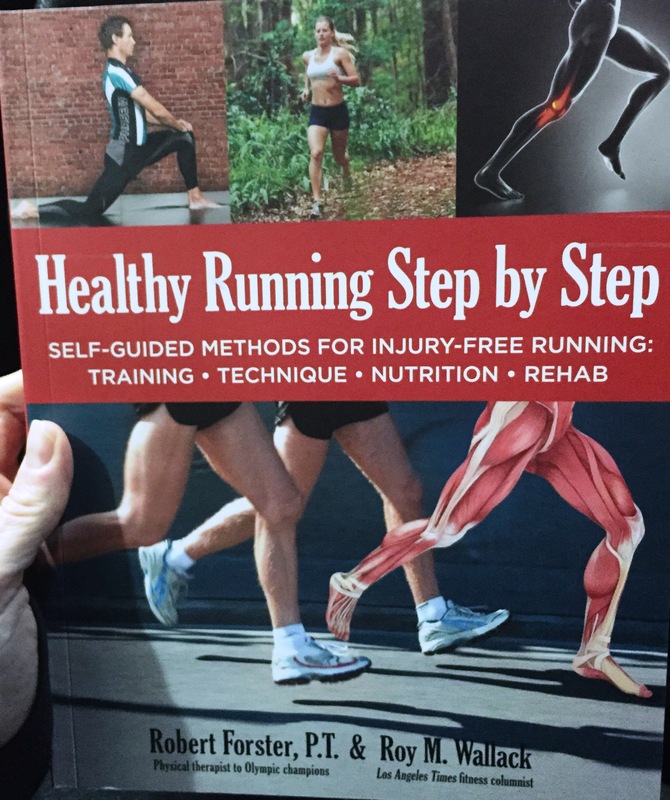 Speaking of running……I think I mentioned that I am using a rehab plan in a book I recently purchased. Monday was the first day I started truly following the plan. Last week I decided to take the week off and let things calm down, so all I did were the suggested stretches (3x/day) and foam rolling. Monday I added the strength exercies (3x/week) and bike trainer (every other day) for 15-30 minutes. I decided not to go ALL out first time and rode 22 min on the trainer. Yesterday I felt great!! I had no stiffness or soreness in my knee after sitting for the first time since my marathon! I will be doing the trainer and exercises again tonight and, for the first time, I am beginning to get REALLY excited about this rehab process and my eventual return to running! BUT, I still have A LOT of things to work on, one being my arm swing. One of the first things that caught my eye from the book discussed your arm crossing your body and how that was a symptom of your body being out of sync. (I think we all know by now that I am out of sync, and not just physically.) 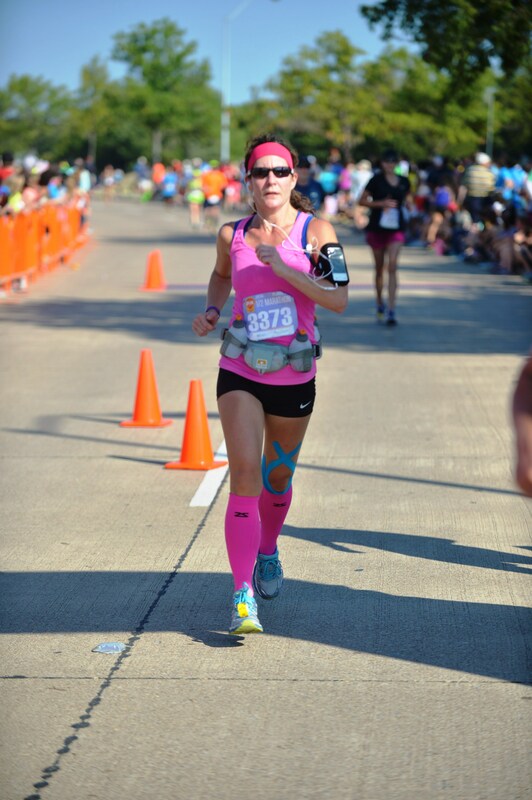 When I posted this pic from the Plano Balloon Half Marathon in September, I commented about that left arm crossing my body. Other race pics have shown that I don’t cross my body with my right arm. 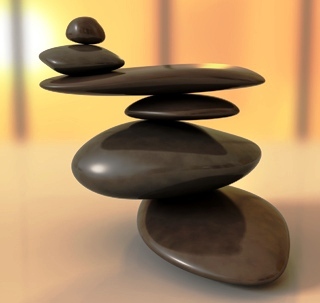 I think it’s terribly interesting, but scares the heck out of me because I want to be balanced!! I don’t often do Woman Crush Wednesday, but am doing it today! I am so blessed with all of my children, but Taylor continually surprises me with her kindness and compassion. And each time I wonder why she suprises me. I mean, I raised her and know what a tender heart she has! Surprised or not, I just love her “never take no for an answer” attitude. IF it can be done, she will find the way! And if you tell her it can’t be done – just get out of her way, because she WILL prove you wrong! This past week, one of her college friends was involved in a wreck in which she was not at fault. The person that caused the wreck drove away. Her car was totaled, and since she did not have full coverage on the car, will not be financially able to replace it. She had a job lined up for the spring to help out until she can get a teaching job next Fall, but without a car was going to be forced to quit. In true Taylor fashion, she immediately started trying to figure out a way to help out her friend. When she was discussing the situation with us, she asked if we could help her pay the tax on a car, because she was planning to buy it herself! As it turns out, Bobby has been wanting to upgrade a van that he uses for work….perfect timing, right? So Taylor cleaned up the van and delivered it to her friend Monday evening. Taylor continually reminds me that it only takes one person to make the world a better place. 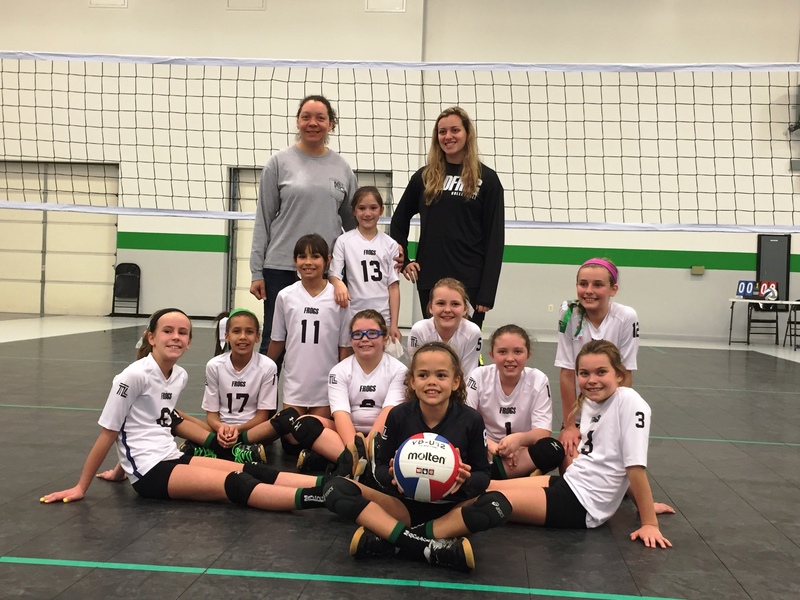 I wanted to leave you with a story that one of the volleyball mom’s shared with me this past weekend. She was playing a game with her daughter, Blair (who just happens to be one of Alli’s favorite teammates!). They were to answer the question, “Name a female athlete.” The mom’s answer was Misty May Trainor, but Blair’s answer was ALLI’S MOM, because she is a RUNNER! I knew there was a reason I love that kid!! Blair is the one being held….these 3 played together last year. This pic is from tryouts after they found out they were all picked for the National team. Using my kids’ sports to keep me sane! 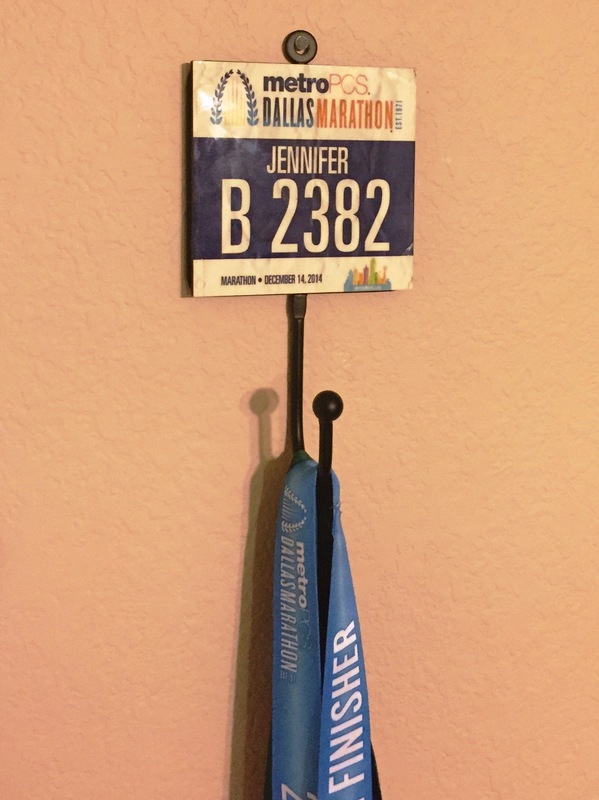 It’s been 3 weeks since my marathon. My ITB is not much better, but it isn’t any worse either. We (my ITB and me) seem to be having a stand-off as to who is going to cave first. I don’t really know if that is the way to describe it, since technically I’ve already “caved” and have been babying it in a way that I’m sure no one who knows me can believe, even now….three weeks in. It became clear to me this past week that running after 4 weeks is NOT going to happen, so I decided to adjust to a 6-week recovery program. Last week I purchased a book which has recovery plans for injuries. However, the main reason I bought it is because it has a detailed stretching regime, strength and cross-training guidelines, nutrition and, of course, training program for runners. I want to use this time off to form a solid framework for balanced training going forward, so I’m doing my research! (Although I’m currently spending A LOT of time in the rehab section.) I don’t have pain with my ITB (ONLY because I’m not running right now), but I am still so tight and knotty all over, especially my ITB and especially after I sit for periods of time. The book suggests a 6-week no-run program for the level of pain I was experiencing post-marathon (lucky, for me, I had already decided on a 6-week recovery program). However, in one section, the author suggests that a rule-of-thumb would be 2 days rest for every day that was run in pain. For me, that equates to 10 weeks of no-running. Added pic of new book so that the post isn’t completely void of photos. I realize that the old Jen would have begun hyperventilating at the mere suggestion of a 10-week no-run period. But this is really-hurt Jen and the Jen that wants nothing more than to completely heal this big ‘ole band of fascia so she can run healthy from here on out. Another thing is…..I don’t even have a desire to run right now. (I did have difficulty admitting that out loud.) To me, that screams that my body just isn’t ready and it’s telling me so. I don’t think mentally I am ready, either. But, I WAS ready for this, and so excited when it finally arrived last week! Now, if Alli would stop rearranging the medals, which simultaneously activates my OCD because she never puts them back in the right order!!! I made another purchase last week…..I bought a Garmin! I have been wanting to play with heart rate training for quite some time. My family even purchased a heart rate monitor to pair with my Nike watch for my birthday (last June!!!) but I could never get it to work properly, so I returned it. Still couldn’t shake the urge to use a watch and ditch the phone app, so I gave my Nike watch to Taylor and got the Garmin (compliments of my friend who offered to use the employee discount at their place of employment. No names or genders are being divulged to protect the identities of those involved! LOL)! My plan is to use the data gathered to see what my heart rate ranges are in different types of runs, then gradually use it to plan my training. I know that I have been running my long runs TOO FAST and my speed work has basically been running hills. Not sure I want to change that, but I can always feel my heart rate spiking on them and always wonder if I’m too much in the red zone! I’m looking forward to being able to set a heart zone or pace and have something else (other than the voice in my head – which I NEVER listen to) telling me to slow down! Now all that needs to happen is my successful rehab and return to running! Logan, my middle child and only son, plays soccer for his high school. Last year was the first year of the program and we had NO home games because artificial turf was being installed on the field. In addition, last year we were 3A classification in UIL, but the only soccer divisions were 4A and 5A. This meant we were placed in a district with 4A teams (except for one other 3A team that was well established). We did not win any games. Not one. However, watching the growth and development throughout the season was nothing short of inspirational. The team that ended the season was not the team that started the season in any sense of the word. We have a top-notch coach, but we also had amazing kids out there working their tails to the bone!! So soccer started up again this past Friday. I did not go to the out-of-town scrimmage held in pouring rain with temps in the 30s. (I am a fair weather fan! I only brave those conditions if I’m running!) But I would not have missed the Saturday morning scrimmage for anything! The game was held in OUR stadium! This was the first time our boys were able to wear their home jerseys and the first soccer competition ever held on our field! They lost the first match 0-1, but came back in the second game with a 3-0 win. And even though it was a scrimmage and it didn’t count, it was a WIN!!! Logan has been playing defense and midfield….this momma sure does love to watch her boy in the midfield! Penalty kick. Logan is on the right – white jersey #2. I swell with pride when he pushes other players! Taylor and I were killing time in Academy while Alli practiced on Friday and I noticed that they had a jumbo pack of hand warmers. I kept thinking there should be some way in which I could put them to use, but could never think of it. Well, I thought of it Saturday while I was sitting out in the freezing weather watching the soccer game! On the way to Alli’s tournament Saturday afternoon, I stopped again to buy not one, but two, packages of hand warmers for soccer! Then I got on Amazon and ordered some mittens with hand warmer pockets sewn in. WHY did this not occur to me last season? I sat in the stands and literally thought my toes were going to fall off. Not this year!!! 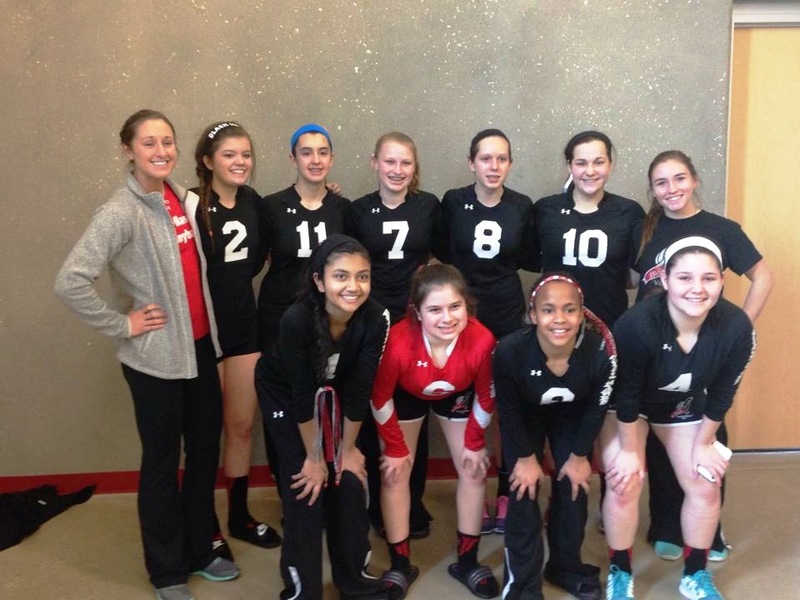 Alli’s played in her club volleyball opening tournament this weekend. 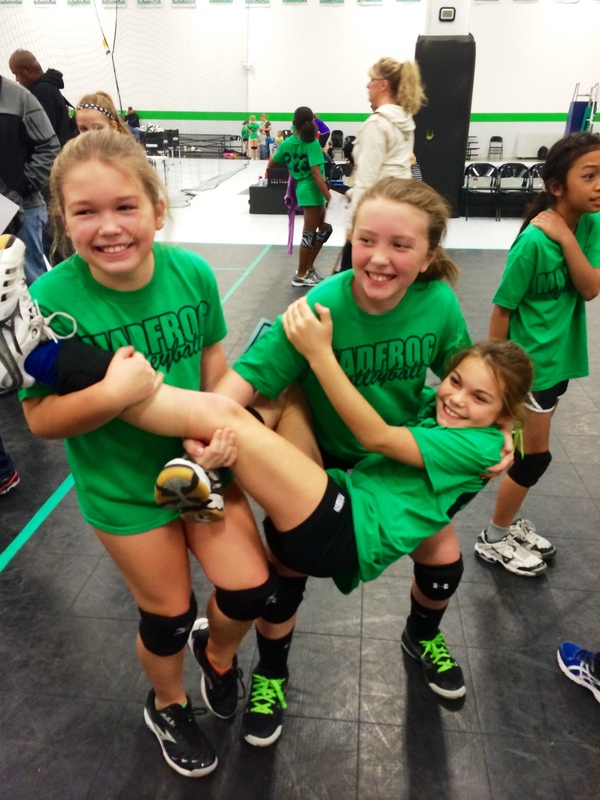 She plays for Madfrog Volleyball on their 10 National team. Generally speaking there are only a handful of 10s teams and not many more 11s teams in our region, although the age group is growing quickly. This means, though, that in most tournaments we play against 12s, because the tournament directors almost always combine 11 & 12 divisions. This weekend, though, we played in the 11s division. The team went in as the 2nd seed in our pool and 4th seed overall. 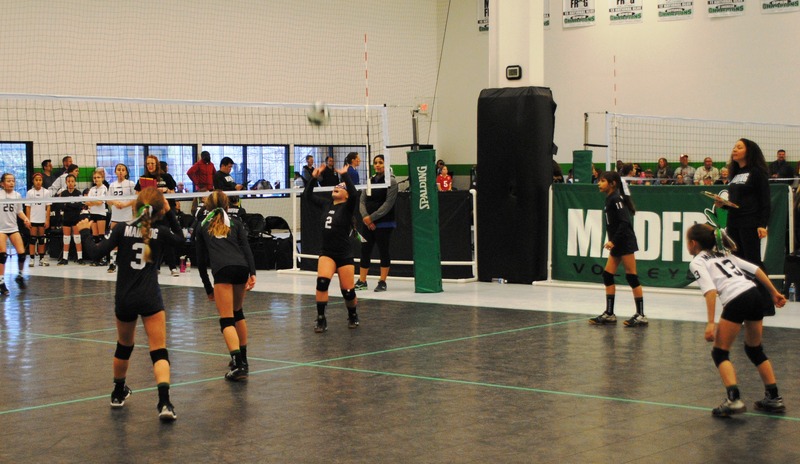 Our team went 3-0 for the day, ending up 1st in our pool with a spot in the Gold bracket on Sunday morning! Alli is the setter (#2), near the net on the right side. I loved finding this picture because the technique is almost perfect! We have worked so hard to get her to step forward with that right foot! Sunday morning we were back at the facility bright and early with hopes of making the championship match. We easily beat the first team we faced and secured our spot in the finals. The girls struggled in the beginning and fell behind a few points. Personally, I think they were intimidated by the girls on the other side of the net, because they knew this was the top 11s team from another club. Our girls never gave up, though, and kept chipping away at the deficit in the score. When the score was 21-24, Alli re-entered the match to serve. I would be understating my emotion if I said I was a nervous wreck. Alli’s serves were inconsistent on Saturday, and she had netted every serve on Sunday morning, up to that point. She didn’t let the pressure get to her and served 5 points, giving us the 26-24 win. I expected the other team to rally in the 2nd set, and they did. We found ourselves in a 6-16 deficit. I figured we were doomed to go to a deciding 3rd set, but our girls kept chipping away, one point at a time, until we got on a run toward the end. I remember that we were 18-22 and kept serving away and winning points. When the score was at 24-22, we lost serve, making the score 24-23. The server for the other team served the ball into the net, and effectively handed us 1st place! It was SO EXCITING! Our girls, Champions of the 11s division and went 5-0 for the weekend! I’m so glad that soccer and volleyball seasons have started, because now I have something to do other than think about all the running I’m NOT doing!